There are few gaming juggernauts like the Assassin’s Creed series. With 10 games released since 2007 and upwards of 50 million games sold, its one of the most lucrative franchises in modern gaming history. 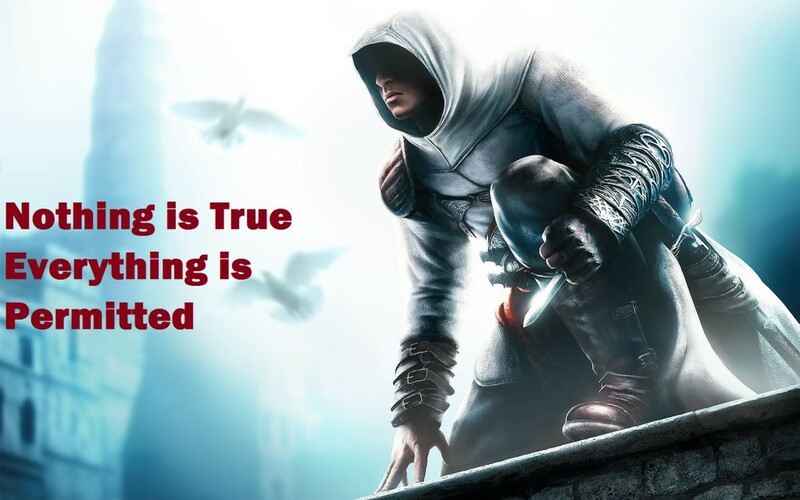 The story centers on a struggle between Assassins and Templars, spanning 100s of years of history, bouncing back and forth between historical recreations and modern intrigue. One of the hallmarks of the series is borrowing actual historical figures, places, and events and recreating them for the modern gamer, but did it also take some of the core concepts from a Dark Horse comic series back in 1994? 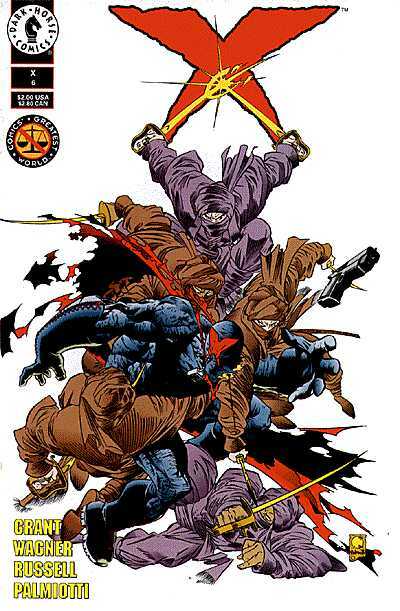 X was part of the Comics’ Greatest World revival of Dark Horse comics in the early 90s. CGW was world building on a large scale; several new heroes and books were created in a shared universe that would hopefully propel Dark Horse into the mainstream along the mega-continuities of Marvel and DC. X was a one eyed vigilante with a padlocked mask that stalked the streets of Arcadia, enforcing the rule of X: criminals got one facial slash for a warning, two and they were dead. Steven Grant was at the helm, a writer who revived the Punisher in the mid-80s into an early 90’s tentpole of the Marvel U. Steven brought a literary bent to the series, with frequent references to classics and characters that regularly quoted Shakespeare. Starting with issue #6 of X from July 1994, Grant began a 2 issue arc featuring an army of brainwashed assassin warriors led by Lord Alamout, the modern disguise for historical figure Hassan-ibn Sabbah, credited by Grant as the “Old Man of the Mountain” and the undying leader of the Persian Hashashin since the time of the crusades. 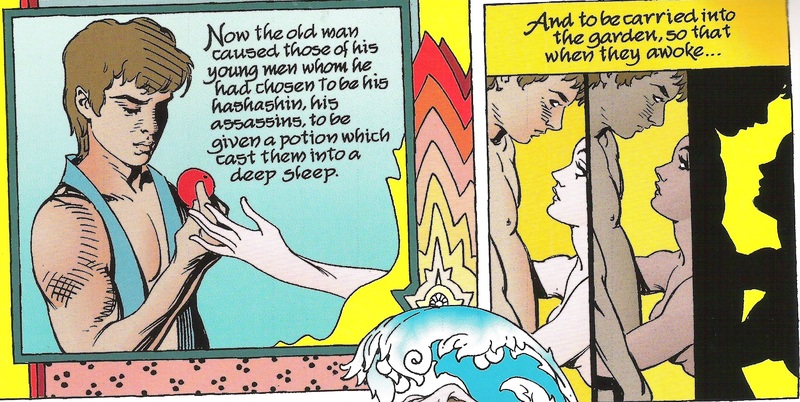 The arc was based on a legend of Hassan propagated through several books and stories: that he used drugs and a fake garden of paradise to trick his disciples into believing he had special religious powers, thus acquiring their undying loyalty. The ‘Hassan as Master Manipulator’ legend also appeared in Alamut, a 1938 Slovinian novel by Vladimir Bartol that shares some similarities with Bouthoul’s book from two years earlier. Alamut was finally released in English in 2004, and the Assassin’s Creed franchise, especially the first game, directly credits the novel for story inspiration. Although sometimes attributed to Hassan ibn-Sabbah, the assassins left no written records, and Nietzsche’s Thus Spoke Zarathustra (1883) is the first published reference that reads “Nothing is true, all is permitted” in German. The phrase next appears in French in Bouthoul’s The Master of the Assassins (1936), in its more common form “Nothing is true, everything is permitted”, as the last words of Hassan ibn-Sabbah. It is unclear whether Bouthoul adapted the line from Nietzsche, or they are both referencing an earlier source. 1938’s Alamut also includes a version of the maxim in Slovinian, possibly influenced by Bouthoul’s recent publishing. William S Burroughs finally translated the phrase to English in the form we recognize after he was introduced to Bouthoul’s book in 1959, and frequently used this phrase in interviews and his books. In X #6, Steven Grant finally brings it all back together and is the first to recombine elements of modern sci-fi, the legends of Hassan, character traits of The Master of the Assassins and Alamut, and Burroughs’s translation of the famous motto: “Nothing is True, Everything is Permitted”. 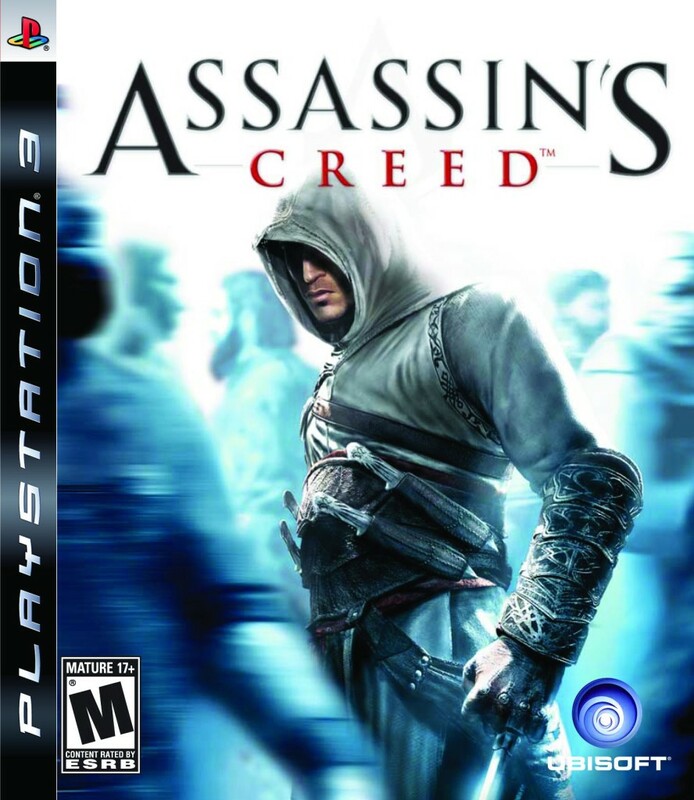 Grant’s mashup of sinister technology and ancient Hashashin later became a massive success when Assassin’s Creed took this concept and ran with it in 2007; the phrase “Nothing is True, Everything is Permitted” famously became the “Creed” referenced in the title of the franchise, and some of Grant’s new sci-fi plot devices became pillars of the series. Where X wildly departed from its influences was in the introduction of the Anima, a device that Lord Alamout and his technicians used to insert his assassins into a virtual reality world representing paradise. This device was a full body connection harness that transfers the user’s mind into a simulated world. It is referred to as “the Anima” in X #7, when X is captured and placed in the device in order to brainwash him to Alamout’s wishes. 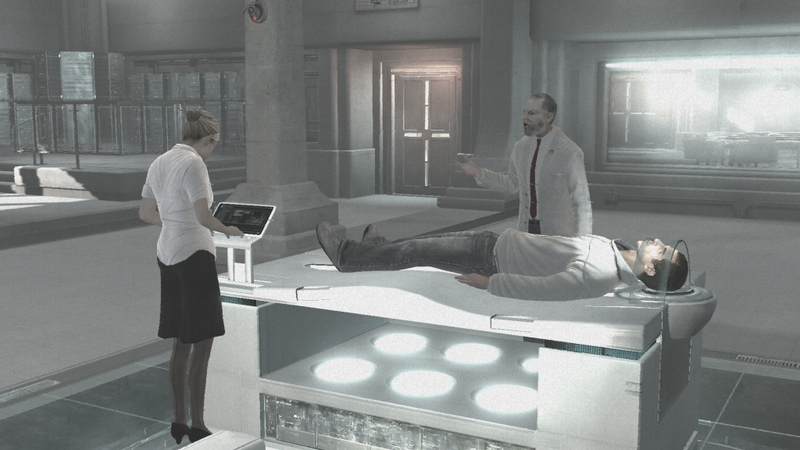 Assassin’s Creed also features a device that inserts the user in a virtual reality world created from the memories of the assassin ancestors of the user. 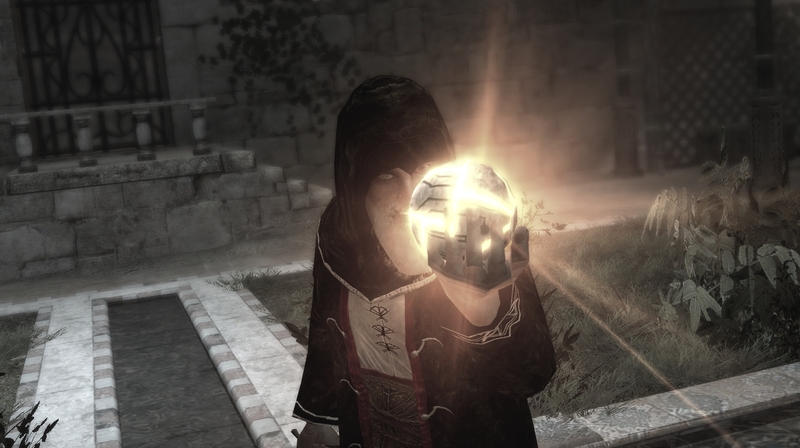 This device is called “the Animus”. Aside from the nearly identical name and function, the Anima/Animus shows up in the stories with similar plot points as well. The X story arc begins with a young assassin’s journey into the Anima, where he is surrounded by angelic “damsels and young girls” in a paradise garden. Assassin’s Creed also opens with its character in the Animus, surrounded by a throng of beautiful women in a garden. 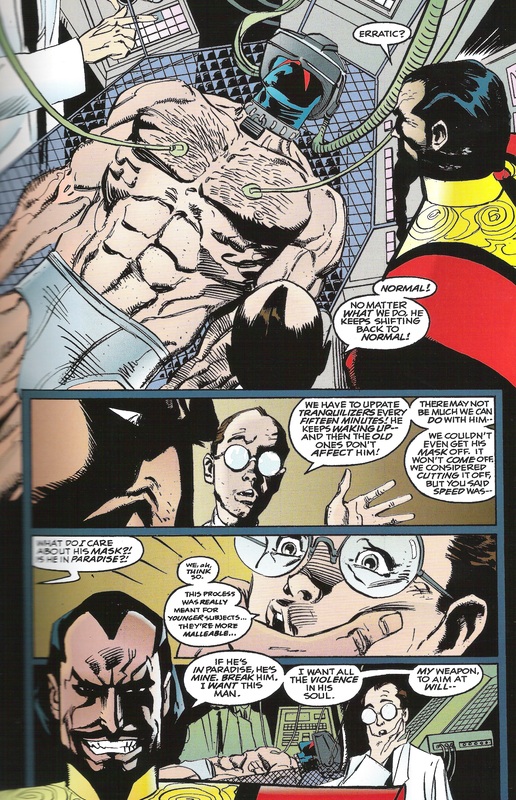 Also in symmetry: just as X’s first visit into the Anima ends with his body rejecting the device and panicking technicians working to quickly revive him, the protagonist of Assassin’s Creed also has to be quickly revived from the garden during his first trip into the Animus as his body rejects the machine. X finishes the arc as he overcomes his brainwashing and turns on and defeats Lord Alamout, while in Assassin’s Creed Al Mualim is defeated as well. In each tale the hero emerges triumphant, and Lord Alamout made another appearance before X concluded in the 1996, while over in Assassin’s Creed the construct of the Animus has gone on to feature in each of the games released since. The Assassin’s Creed Franchise shows no signs of slowing, and continues to dominate the fall video game sales charts. 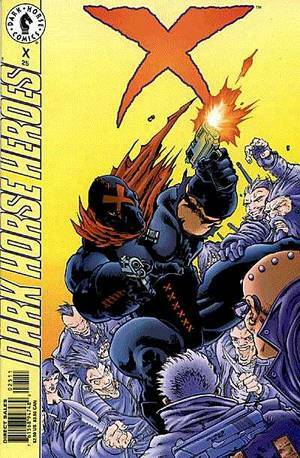 Recently, Dark Horse also revived the X character under a new writer, Duane Swierczynski, in a monthly series. Steven Grant was the author of the comic book 2 Guns which was adapted into a motion picture starring Mark Wahlberg and Denzel Washington released in 2013, and is currently releasing the sequel comic 3 Guns as well as Deceivers at BOOM! Studios.